Sixties- a decade of optimism and hope, bright colours and refreshing modernity. No surprise really then that London is currently hosting two major exhibitions that look back to this era in a time when our present decade is in much need of all of the above. The National Portrait Gallery has gone with Beatles to Bowie as well as photographic display of the cultural icon herself, Twiggy. Meanwhile, opening today, the Fashion & Textile museum presents Foale & Tuffin: Made in England. We popped along yesterday to the press view where the adorably cute Marion Foale and Sally Tuffin were there themselves, sporting matching glasses and some great checked trousers- not quite the picture of Ian R. Webb’s description of “…cocky, feisty, bolshy…” but adorable nonetheless. The intimate space has been curated around the theme of ‘recreation’ for a personal, nostalgic image that recreates their boutique, showroom and design studio. The humble execution fits well with the equally ‘rags to riches’ style story that accompanies these two women who set off on a trailblazing career with just 200 pounds in their pockets! 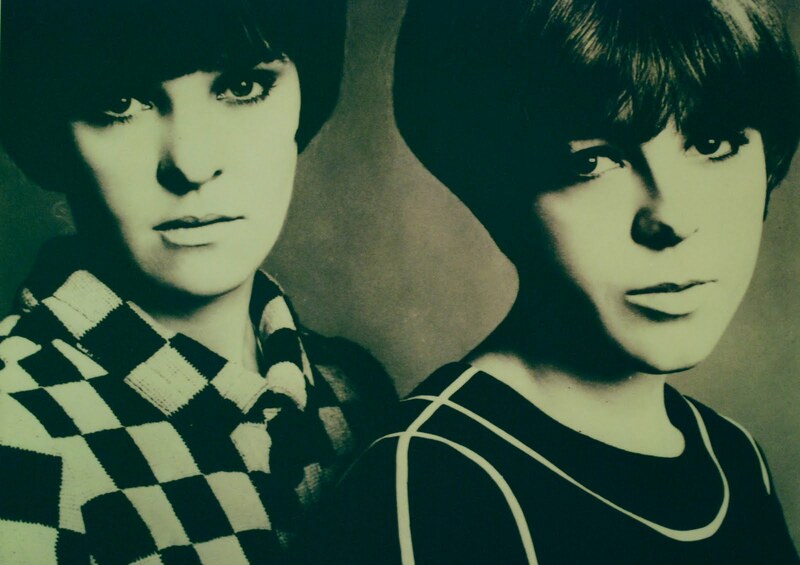 Having met at Walthamstow Art School in 1955, the pair went on to study at the RCA before embarking on their own business venture that led them to their own boutique just off Carnaby Street and a credible amount of fans including Manolo Blahnik, Paul Smith (who’s supporting the exhibition), Mary Quant, Jean Shrimpton, Barbara Hulanicki and Terrance Conran. The success of their label was propelled by their appearance in Vogue magazine. Old covers line the walls with much of the imagery showcasing the early works of photographer David Bailey. Foale & Tuffin: Made in England runs from now until February 24th.